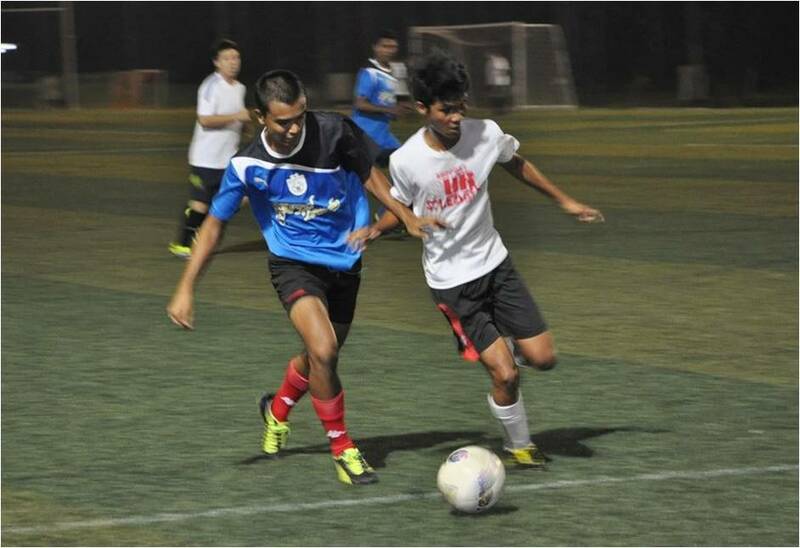 Week 20: ISA make it 11 goals in two games against AMK! Following their 5-1 defeat against ISA last week, AMK found themselves at the mercy of their opponents yet again as they faced ISA for the second time in two weeks due to earlier postponements in the season. The only difference in the score-line this time round was that ISA managed to bag an extra goal. Week 19: ISA prove that they are potential title contenders! 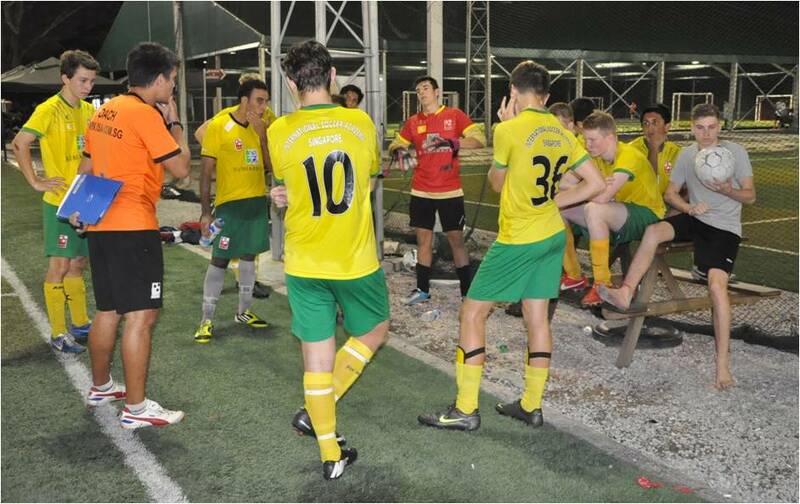 ISA moved up the league rankings this week when they hit five goals past AMK FT at Pitch 2 of the Cage Sports Park. The Away side dominated the match the second the game kick-off terrorizing their opponents with mazy runs down the flanks. The win sees the away side move into pole position to challenge for the title in the coming weeks. Stay tuned for an action packed finale folks! SMUAA Super Leos were presented with a chance to leapfrog AMK FT in the league standings this week when the two sides met for the second time this season. Unfortunately for the home side, the match turned out to be a carbon copy of the first leg which also ended in a 0-0 draw. The result sees Super Leos rooted to the bottom of the league standings, two points below AMK FT.
Week 17: ISA edge closer to league leaders! ISA pulled off a crucial win this week when they beat SMUAA Super Leos 4-1 in a match which they dominated from start to finish. With league leaders Retired FC and Grampus Rise battling to a 1-1 draw, the result sees ISA move within one point of second placed, Grampus Rise. Week 16: Retirees edge Team Barca in 13 goal thriller! League leaders and defending Champions Retired FC pulled off one of the wins of the season when they beat Team Barca 7-6 in one of the most exciting matches played in the X-League to date. The result sees Team Barca suffer their second straight defeat against teams that are in contention for the title. Week 15: ISA dig deep to pull off crucial win in quest for the title! 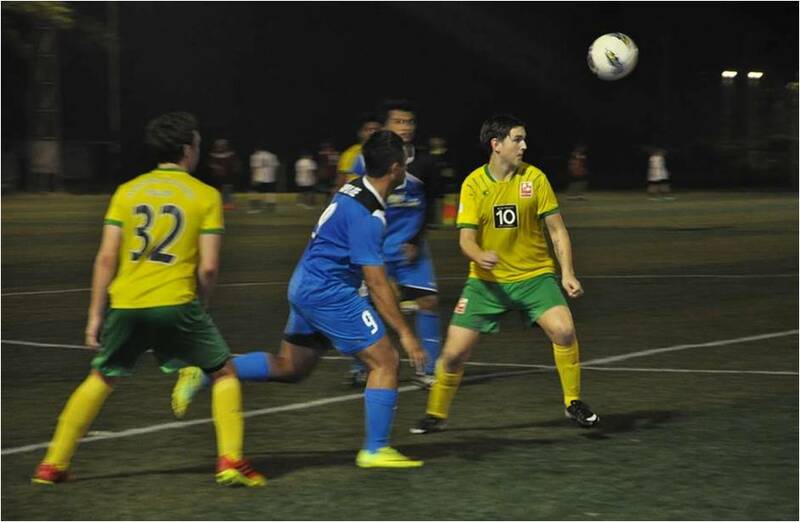 ISA pulled of their biggest win of the season when they put on a valiant display to beat hot favourites Team Barca 4-3 in a tale of two halves. The win sees ISA tied on points with Team Barca in the league standings and just six points behind league leaders, Retired FC. Grampus Rise also secured a crucial victory when they beat AMK FT to move within two points of the league leaders. Week 14: Grampus hit six past Super Leos! Grampus Rise got their season back on track following their hard fought 2-2 against ISA with an impressive 6-1 win over bottom placed SMUAA Super Leos. The win sees Grampus leapfrog Team Barca into second spot and just two points behind Retired FC. Week 13: Potential league Champions share spoils in fierce encounter! Potential title contenders Grampus Rise and ISA battled to a 2-2 draw in a match which neither side could afford to lose. Grampus Rise, who finished amongst the top three in the Sunday Premier League found the pace of the youngsters too tough to handle in a match which could have gone either way. Over at Pitch 2, Retired FC hit eight goals past SMUAA Super Leos which means that the defending champions have now scored 33 goals in their last four matches. 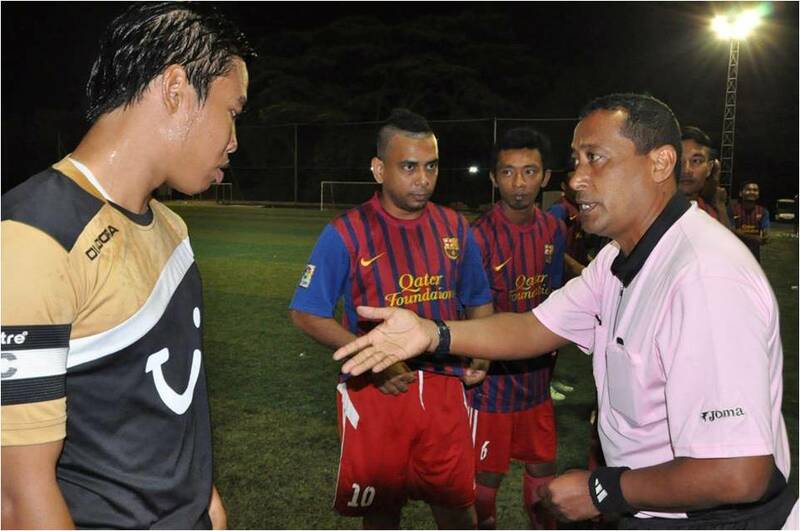 Week 12: Thursday Knights & Team Barca battle to a goalless draw! League leaders Team Barca failed to extend their lead at the top of the table this week when they were held to a goalless draw by a resilient Thursday Knights side. The results sees Thursday Knights move up to fourth spot with ISA taking a break this week. Defending Champions, Retired FC continued their fine form this time hitting eleven goals past Magnificent 11 who’ve now conceded sixteen goals in their last two matches. Week 11: Magnificent performance sees ISA tied on points with defending Champions! 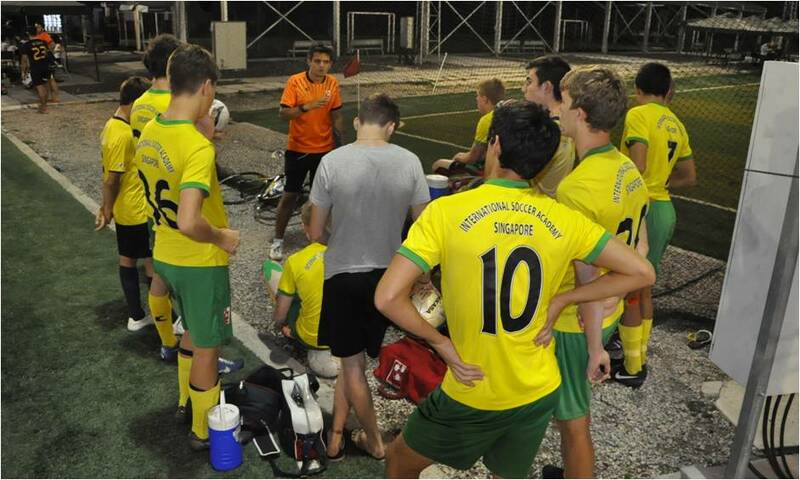 International Soccer Academy (ISA) hit five goals past Magnificent 11 this week to move up to fifteen points in the league standings. The win sees them three points shy of defending champions, Retired FC who slammed 10 goals past AMK FT in a one sided affair. Over at Pitch One, Thursday Knights beat SMUAA Super Leos 3-1 to maintain fifth spot. Week 10: Retirees mean Business! Following a poor start to the season, Retired FC have won all their matches leading up to their top of table clash against Grampus Rise. The match promised to be a cracker and it didn’t disappoint with the Retirees coming away 4-3 winners. The match boasted spectacular goals from both sides in a match which exemplified the quality of the players plying their trade in the X-League. The result means that Retired FC have now closed the gap on the league leaders to just three points. 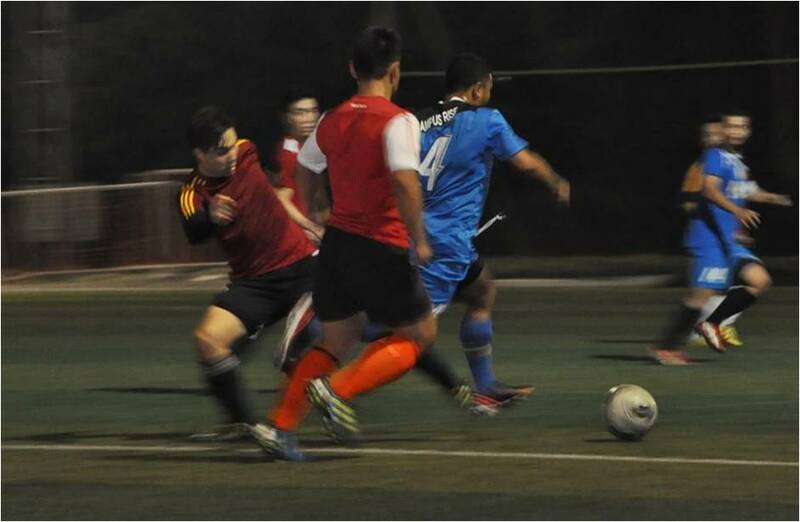 Team Barca regained top spot in the league standings after beating AMK FT 5-1 at Pitch 2 of the Cage Sports Park. The result sees them tied on points with Grampus Rise but with a superior goal difference. Week 9: Grampus Rise to the Occasion! Grampus Rise regained top spot in the Midweek Premier League when they handed ISA their second defeat in a row. 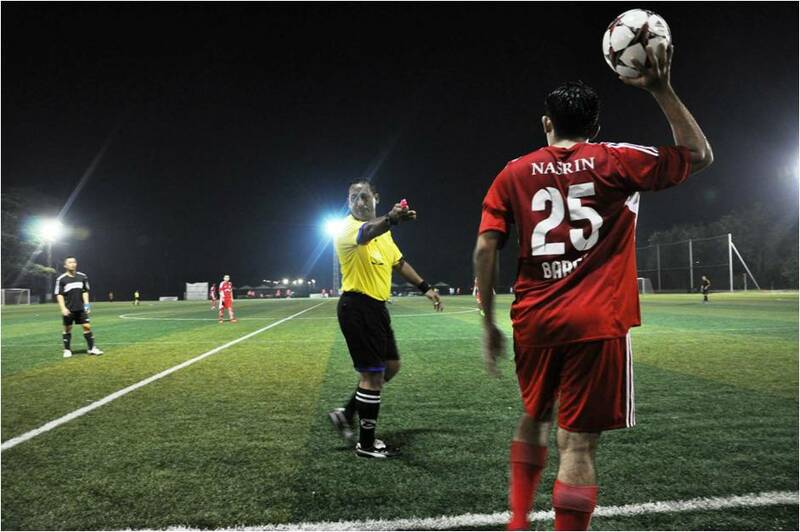 The home side put on a disciplined performance to beat ISA 6-3 in a match which was closer than the score-line reflected. 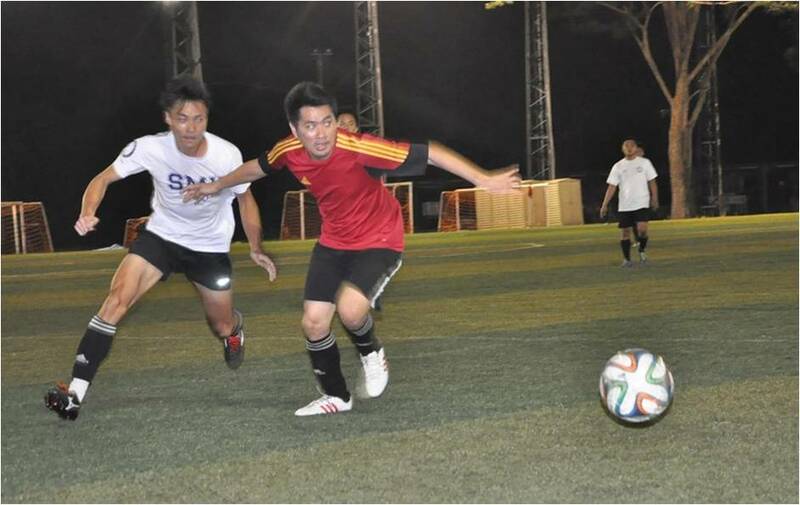 Retired FC followed up their win over ISA last week with a 6-0 thrashing of Thursday knights. The Knights struggled to keep up with the pace of the Retirees who fielded a full strength side for this tie much to the dismay of their opponents. Over at Pitch 3 of the Cage Sports Park, a hat-trick by Man of the Match Jun Wei saw AMK FT pick up their second win of the season when they beat Magnificent 11 4-3 in a match which could have gone either way. The win means that AMK have now beaten sixth placed Magnificent 11 over both legs after scoring a 2-1 win over their opponents in October. 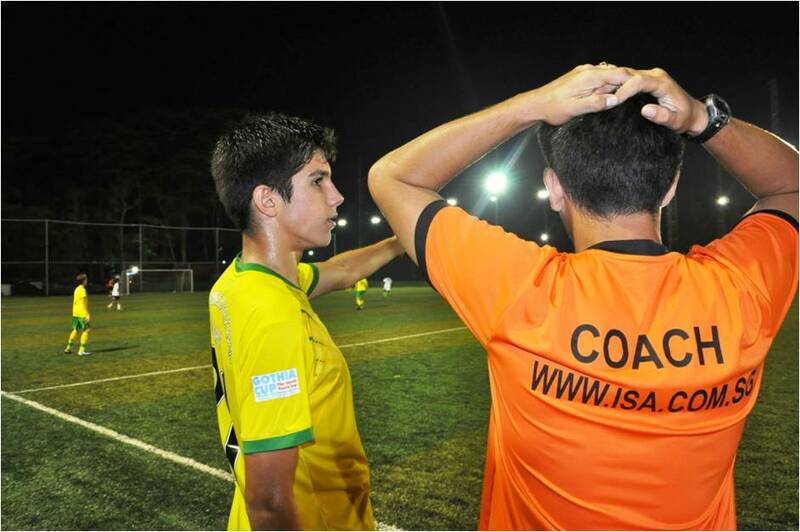 Week 8: ISA Suffers first loss! Grampus Rise leapfrogged ISA in the league standings with a hard fought 2-1 win over Thursday Knights at Pitch Two of the Cage Sports Park. After having lost to league leaders Team Barca last week, the Sunday Premier League giants bounced back with this crucial win which sees them tied on points with the league leaders. 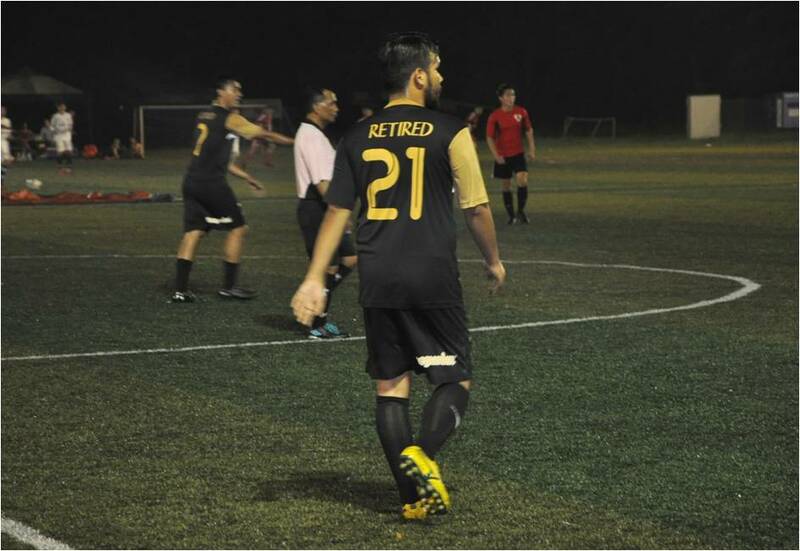 ISA’s four match win streak came to a halt this week when they were beaten by Season One Champions, Retired FC 3-1 in a fiercely contested battle. The young ISA side struggled to keep up with the experience of the Retirees, a side made up of former semi-professional players who’ve somewhat gone into retirement. Week 7: Retirees hit 9 past Super Leos! Retired FC are back! Following their two losses, the Retirees have bounced back with an impressive 9-0 win over SMUAA Super Leos following their 5-2 comeback win over Magnificent 11 last week. 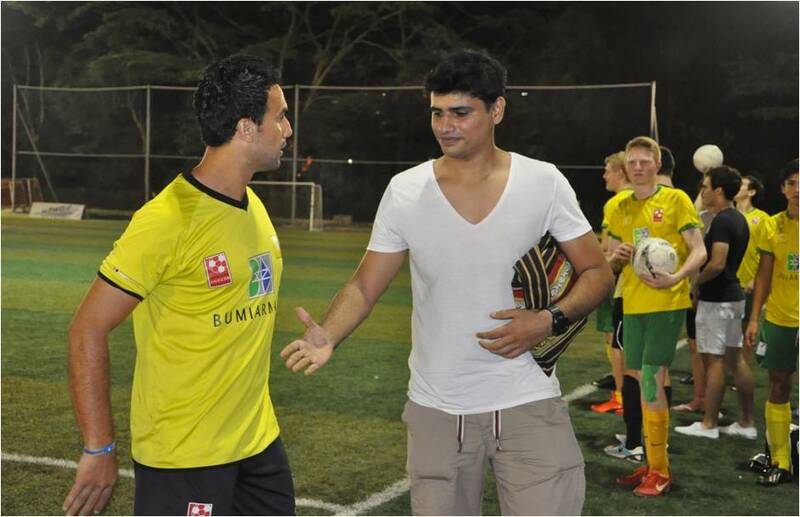 Birthday boy, Morales Menon celebrated turning 26 with a hat-trick for the away side. ISA are starting to become genuine title contenders garnering their fourth straight win this week. The U-17 side put on a fine display to beat Magnificent 11 3-0 with the home side struggling to keep up with their pace and fitness. The match of the night however goes to Grampus vs Team Barca which ended 4-3 in favour of the home side despite Grampus scoring an early goal in the 12th min. Week 6: Retirees come from behind despite slow start! Despite conceding two goals within the first ten mins, Retired FC put on a fine show in the second-half, scoring four goals which saw them come away 5-2 winners against Magnificent 11. Team Barca also got back to winning ways after a shaky start to beat SMUAA Super Leos 6-2 in a match which didn't necessarily reflect the score-line. Despite going into the break 3-1 down, it was the away side that went into the break having created more chances. Over at Pitch 2, ISA continued their fine start to the season beating Thursday Knights 4-0 in a one-sided affair. The away side struggled to keep up with ISA’s speedy wingers and were often caught on the counter. 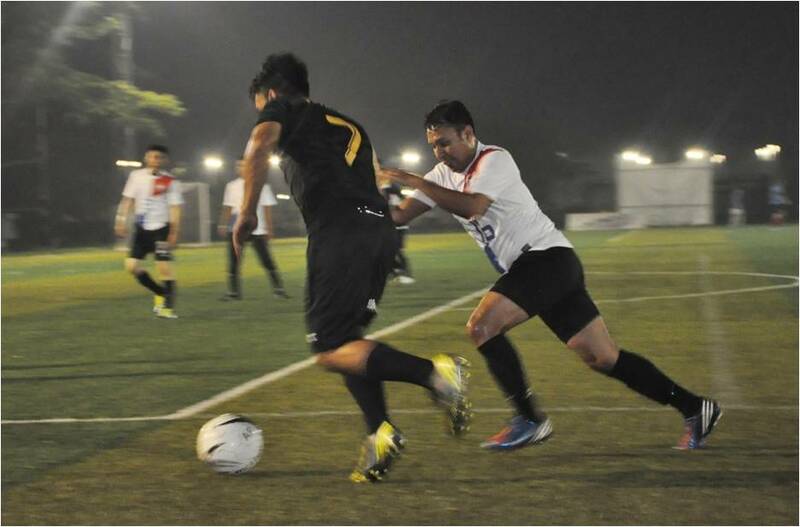 Week 5: AMK FT secures first win as Thursday Knights pull off shocking win! 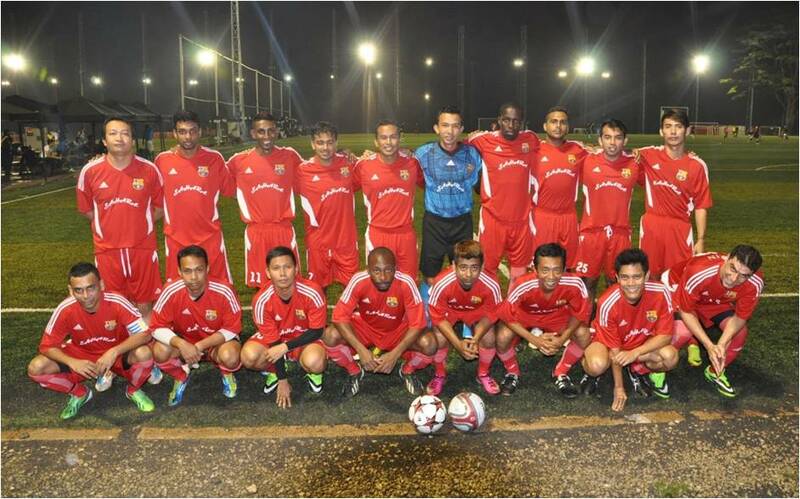 AMK FT secured their first win of the season beating highly fancied Magnificent 11 2-1 in a tale of two halves. Over at Pitch 2, ISA put on an impressive show to beat title contenders Team Barca 4-3 in a feisty encounter which saw seven yellow cards. Despite their fine showing, SMUAA Super Leos couldn’t stop Grampus Rise from garnering their fourth straight win with the match ending 5-3 in favour of the Sunday Premier League giants. Perhaps the biggest shock of the night came in the form of Retired FC’s 2-0 loss to Thursday Knights which meant that last season’s 1st Runner-Up have conceded five goals in their last two matches with no reply. 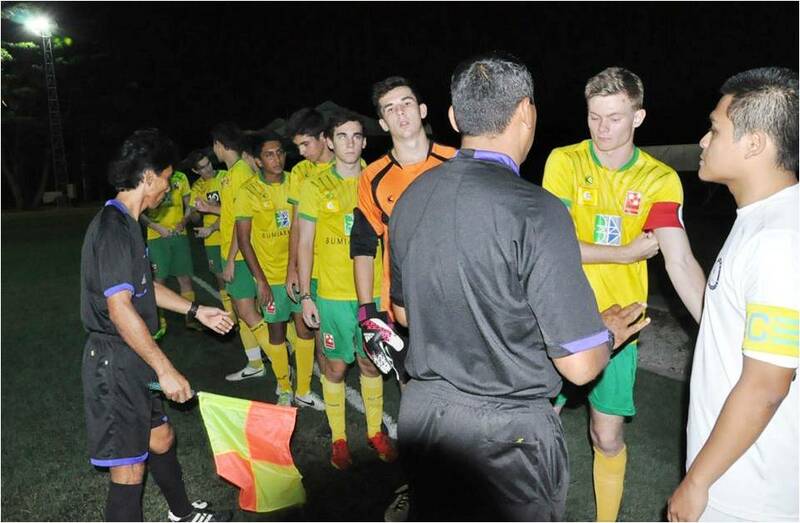 Week 4: Stunning comeback sees ISA U-17 make impressive debut! The International Soccer Academy U-17 side made their debut in the Midweek Premier League this week beating SMUAA Super Leos 3-2 in an action packed encounter. The home side took the lead in the 34th min only to conceded two gaols early in the second half. ISA then came back with an equalizer in the 64th min before banging home the winner just five mins later. AMK FT suffered their heaviest defeat this week when they were beaten 6-0 by a full strength Thursday Knights side who move up to third with the win. 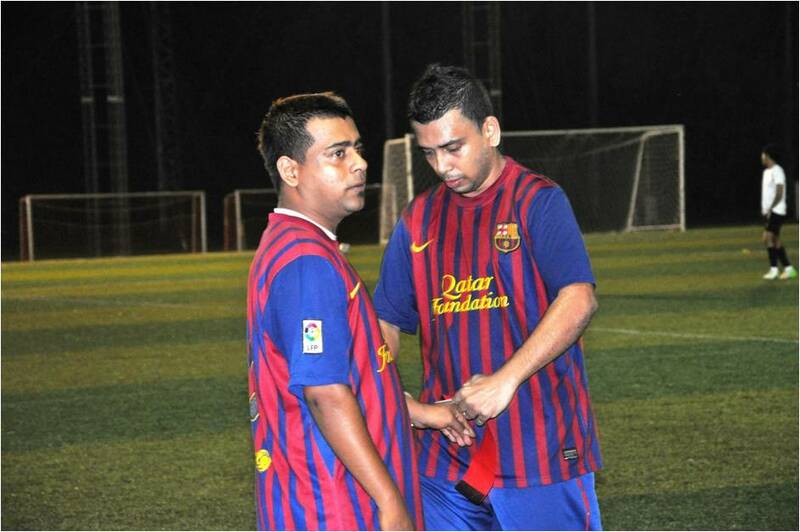 Team Barca put on an impressive performance beating Season One Champions, Retired FC 3-0 in a closely contested affair. The away side capitalized on all their chances whilst the Retirees suffered an off day in front of goal. Over at pitch 1, Grampus Rise maintained their superb start to the season with another win, this time over Magnificent 11. It was 4-1 to Grampus by the 52nd min, but the away side lived up to their name, putting on a magnificent performance to pull two goals back with two mins to go. Few would have bet against them scoring an equalizer had extra time been longer. Week 3: Barca lives up to Barcelona style of football! Team Barca lived up to their name when they mimicked the Spanish giant’s free-following style of football beating AMK FT 4-0 in the process. The win sees them move up to first place in the league standings with an impressive goal difference having scored eleven goals thus far, in only three league matches. The result however sees AMK FT in last place with a goal difference of minus ten. Week 2: Grampus continue Rising as Team Barca secures first win! Sunday Premier League Div One giants, Grampus Rise garnered an impressive 4-0 win over AMK FT in a one sided affair making it two wins in two matches. 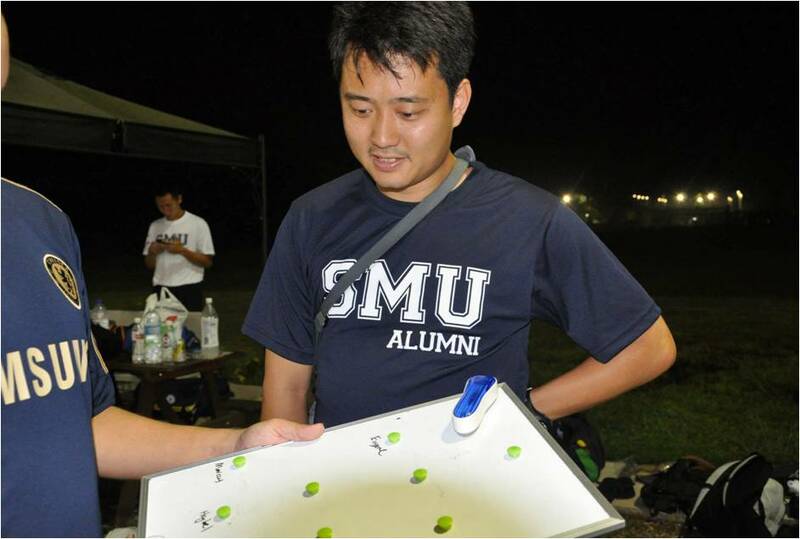 Newcomers, Team Barca put on a sterling performance to beat SMUAA Super Leos 5-0 (formerly known as SMU Alumni). Magnificent 11 made their intentions known with a 4-1 win over the legendary Thursday Knights in a match which was closer than the score-line reflected. Week 1: Magnificent starts for Thursday Knights & Grampus Rise! Week one saw potential title contenders Grampus Rise and Team Barca battle it out in a match which could have gone either way. Unfortunately for the away side, Grampus Rise proved too strong in the end coming away 2-1 winners. SMUAA Super Leos garnered a point against highly fancied Magnificent 11 in a tale of two halves. The away side took the lead four mins into the second half only for SMU to claw their way back into the game with a deserved equalizer, ten mins from time. 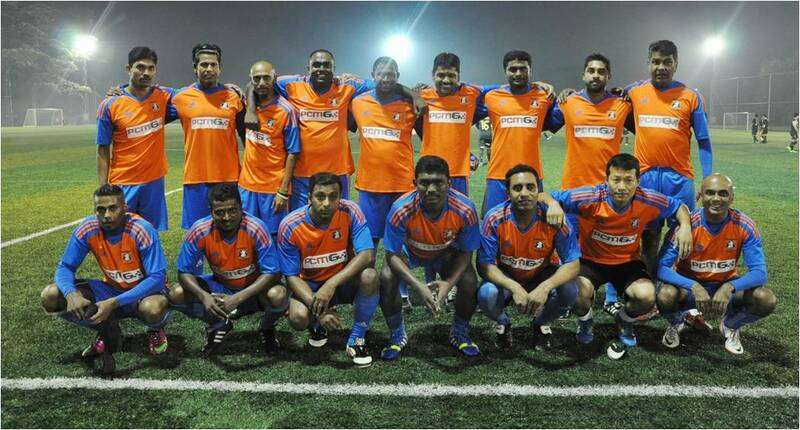 Thursday Knights and AMK FT battled to an eight goal thriller with the Knights coming away 5-3 winners.